Zephyr Fleet: Silver Lariat and Silver Solarium, two classic Budd-built stainless streamlined Zephyrs from the 1940s. Redwood Empire: 1923 Pullman business car, Santa Fe No. 33, with original Mission Revival interior. The Utah: vintage parlor café-lounge car from American Railway Explorer. Train enthusiasts can also enjoy 360º virtual reality stations, special tutorials from the Los Angeles Model Railroad Society, and more. Metrolink and California High-Speed Rail will offer an interactive glance into the high-tech future of train travel. An expanded Kids’ Zone will feature a Thomas the Tank Engine play area, Boy Scout story time, face painting and other fun activities. Check in at the Union Station Information Booth for a festival map and free Event Passport. The first 1,000 guests to complete the passport will receive a commemorative Summer Train Fest pin. 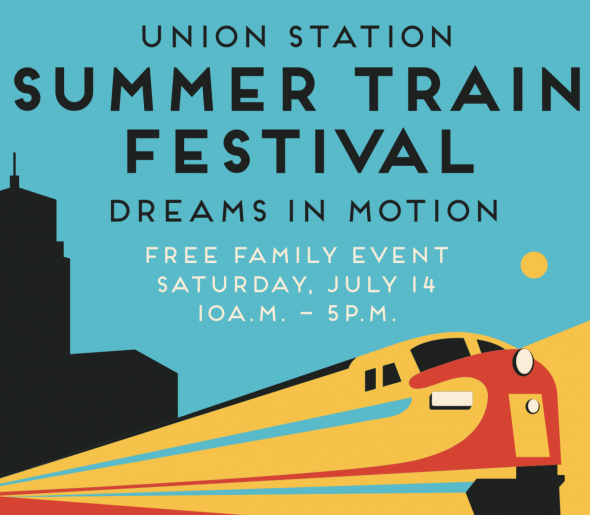 Union Station’s Summer Train Fest is hosted by Metro in partnership with Metrolink, Amtrak and LOSSAN. For more info visit unionstationla.com.